Europe is a popular destination for US-based travelers. With a wealth of history and unique attractions, many travelers are seduced into taking a transatlantic flight to their favorite destination on the continent. Unfortunately, flying to Europe is not always a practical option, either because of costs or time constraints. Luckily, there are plenty of places in North America where it is possible to enjoy the same types of attractions and the same kind of atmosphere that can be found in Europe. Of course, we know that to get a truly authentic Italian experience, you have to go to Italy. But to enjoy great wine, stunning vineyard views and even Old World ambiance, you don’t have to dig out your passport or even travel too far from home. Miami has a number of rental estates that offer the kind of style and atmosphere that is usually only found on the French Riviera or in southern Spain or Italy. These estates occupy space in some of the most exclusive neighborhoods in this tropical city. If you know where to look, it is possible to find estates with Moorish architecture or Florentine ambiance in Miami and its environs. This city is also home to some amazing Art Deco estates, such as the incomparable Villa Helena, a spacious rental estate that sits near South Beach. Wine-growing regions are found throughout the US. The undisputed headliner of the US wine-making industry is Napa Valley. Sitting in the scenic hills of central California, Napa, along with nearby Sonoma, are two of the many world-class wine-tourism destinations in the Golden State. Some estates are created with unique historic details and a European flair, which give them an unmistakable Old World ambiance. If you are seeking a wine-themed vacation, there is no need to travel to Tuscany or Bordeaux. 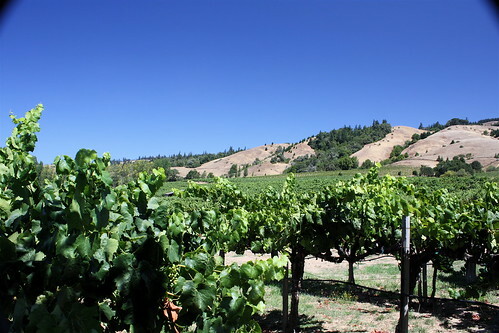 You can simply head to the wine-growing regions of California. Quebec City and Montreal are arguably the most “European” cities in North America. This is not because the main spoken language on the street is French, but because of the architecture and unique ambiance that really sets these cities apart from their anglophone peers. Shopping streets in Montreal's Old Town and Quebec's Lower Town have a distinctly French flair, with unique boutiques and cozy cafes. Ornate structures like Quebec City's Chateau Frontenac give sightseers a chance to see the kind of architecture that is commonplace on the other side of the Atlantic. During the wintertime, the alps of Germany, France, Italy, Switzerland and Austria draw millions of skiers from around the world. While it is impossible to match the quaint charms of a Swiss mountain village, there are some world class ski destination found in Colorado's Rocky Mountains. Some of these places offer a nice mix of modern accommodations and small Old World touches in their main chalets, quaint shopping streets and overall atmosphere. If you are looking for a great ski vacation, don't write off places like Vail, Aspen and Steamboat. Sometimes, it is not a region, but a single place that can give a destination a unique, European flavor. That is the case with some of the amazing castles that are found throughout the US. Some of these buildings have been built in the style of the historic structures that are found on the other side of the Atlantic. A great example of this type of attraction is the Castle Ladyhawke, a venue in North Carolina that is built to resemble a classic Scottish castle. This venue can be rented for weddings and special events, while an on-site “fairy-tale village” has accommodations for guests. Seeking out such a venue is a great way to inject a little European flavor into your stateside vacation.